If you have previously used a rooted Android device and are accustomed to root and mod your Android device then it could become difficult to live with a non-rooted Android phone. Although Samsung devices should not be the first choice for these type of users. 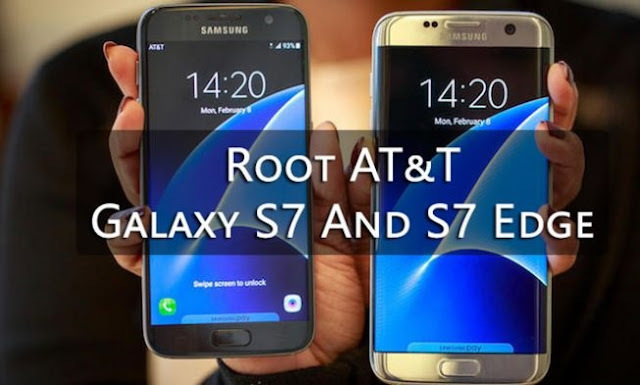 But if your a such a user owning AT&T Galaxy S7 devices then, fortunately, developers at XDA have successfully rooted AT&T Galaxy S7 devices. Note: The unlocked international variants of Galaxy S7 And S7 Edge were already rooted by the efforts of developers at XDA. Waring: Rooting your device will void manufacturer’s warranty. Proceed at your own risk we or the developer should not be held responsible for any loss of data or damage to your device. Before proceeding to Root your AT&T Galaxy S7 and Galaxy S7 Edge with the guide given below make sure you backup everything off your device. As you may lose all your data during the rooting process. You may use the Samsung Smart Switch for easy backup and restore of all your data using your PC. Step 1. Download Odin on your PC from the link given above and start Odin.exe. Also, download the custom boot image for your device from the link given above. Step 2. Now power off your device and boot your device into Download mode. To do so, press and hold Volume Down + Home + Power buttons simultaneously for few seconds. You will get a warning on your device indicating that you are about to enter download mode, press Volume up button to confirm the warning this will boot your device into Download mode. Step 4. Press AP button in Odin, this will open a window for browsing the .tar file. Select the tar file you downloaded from the link given above and press OK. Step 5. Now press Start button and wait for the process to finish. Once the process finishes your device would automatically reboot. Step 6. Now on your phone go into Settings> About Phone and tap Build Number 7 times. this will enable Developer Options. Step 8. Now download the SuperSU zip file on your PC and unzip the zip file into a folder named ‘super’. Copy this folder to Minimal ADB and Fastboot folder (usually C:/Program Files/Minimal ADB and Fastboot). Step 9. Now type the follow commands in the command window to flash SuperSU on your device. Step 10. Wait for the process to finish and then Reboot your device. If SuperSU asks you to update the application using Play Store, then do NOT update it, as this will probably break things for your device. Congrats! You have successfully rooted your Galaxy S7/S7 Edge. Enjoy your rooted device by customizing it to your liking. You may check if your device is properly rooted or not using a Root Checker application.